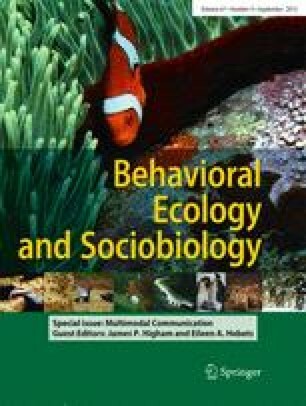 Though it has long been known that animal communication is complex, recent years have seen growing interest in understanding the extent to which animals give multicomponent signals in multiple modalities, and how the different types of information extracted by receivers are interpreted and integrated in animal decision-making. This interest has culminated in the production of the present special issue on multimodal communication, which features both theoretical and empirical studies from leading researchers in the field. Reviews, comparative analyses, and species-specific empirical studies include manuscripts on taxa as diverse as spiders, primates, birds, lizards, frogs, and humans. The present manuscript serves as both an introduction to this special issue, as well as an introduction to multimodal communication more generally. We discuss the history of the study of complexity in animal communication, issues relating to defining and classifying multimodal signals, and particular issues to consider with multimodal (as opposed to multicomponent unimodal) communication. We go on to discuss the current state of the field, and outline the contributions contained within the issue. We finish by discussing future avenues for research, in particular emphasizing that ‘multimodal’ is more than just ‘bimodal’, and that more integrative frameworks are needed that incorporate more elements of efficacy, such as receiver sensory ecology and the environment. We are very grateful to Esteban Fernandez-Juricic and two anonymous reviewers for comments on a previous draft of this manuscript. We extend our special thanks to Theo Bakker, James Traniello, and Saskia Hesse for their considerable help with the production of this special issue.